Home›Reviews›Unhinged - Former Members of The Doors Go to Court over Jim Morrison's Legacy! Even well after Jim Morrison’s death, the legacy of The Doors lives on as one of the strongest in rock and roll history. These are rock and rollers that stuck to their guns and, as a result, have one of the music world’s most impressive back catalogues. If anything, their songs have only increased in popularity over time. 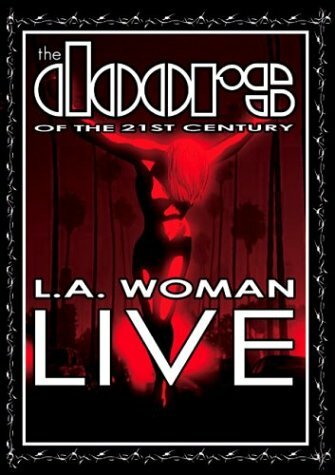 In the early 2000s, Doors keyboardist Ray Manzarek and guitarist Robby Krieger made the controversial decision to go back on the road as “The Doors of the 21st Century,” recruiting Cult vocalist Ian Astbury and Police drummer Stewart Copeland. Not wanting to bastardize the legacy of The Doors, John Densmore not only opted not to participate, but brought legal action against his former musical partners. 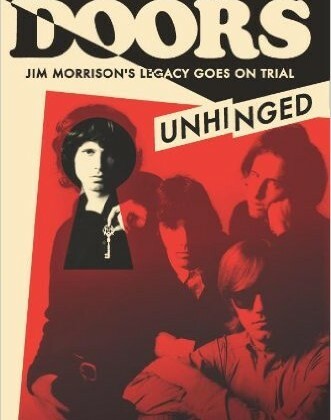 The Doors Unhinged: Jim Morrison’s Legacy Goes on Trial is Densmore’s account about preserving the legacy of Morrison and The Doors, and his efforts to halt his former bandmates from billing themselves as “The Doors” and making use of classic, misleading images and logos. 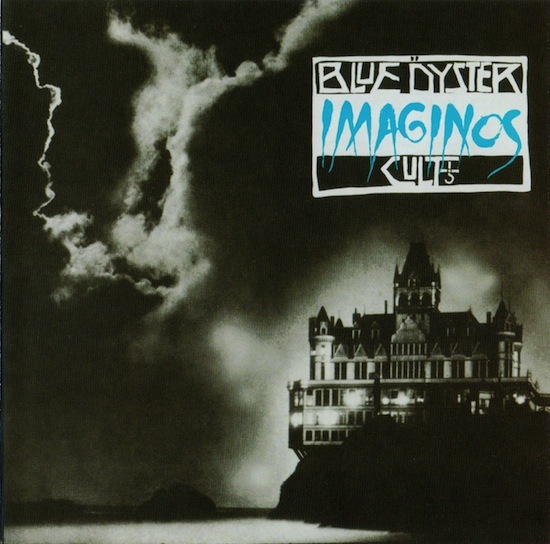 Furthermore, things are only further complicated by Krieger and Manzarek countersuing, apparently in response to missed monies for Densmore’s refusal to let the others license the band’s music for commercials. Unhinged focuses on these courtroom battles, the circumstances leading up to them, and the conclusion and aftermath of said events. The above image uses the classic Doors logo, with "of the 21st Century" in much smaller typeface. Unhinged focuses on Densmore's battle against said advertising and the misleading nature of it all. 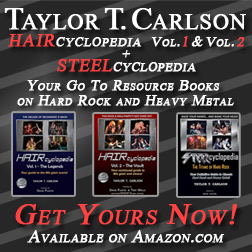 Your average rock and roll book is a pretty standard autobiography, but every now and then you come across something different, like a book that focuses on one specific event or time period. Unhinged is an interesting departure from these standard autobiographies and the like; Densmore focuses almost exclusively on the court case in question, and the end result is gripping, intriguing legal drama that sheds new light on this series of events. Regardless of where you stand in terms of these events and who you side with, getting an inner look at these courtroom proceedings and learning both about the lawsuit, and the events of the past that brought the former Doors up to these unpleasant circumstances, gives readers a look at an often ugly side of the music business, in this case one that tore former bandmates and business members apart. Densmore scores major points with his book for making this a fairly honest and straightforward account. Even though it is his book and he is on one side of the conflict, he does not vilify anyone or come off as preachy. One has to respect his morals and reasons for pursuing the lawsuit, but at the same time it is not difficult to see his uneasiness when it comes to entering a legal battle with his former friends/bandmates. The trial proceedings do enter ugly territory on more than a few occasions, but Densmore presents himself with class and dignity. If you are looking for a traditional autobiography of Densmore, he released one several years ago; this book almost exclusively focuses on the court case. If I have one minor complaint with this book, it is that Densmore does tend to go off on a tangent on a few occasions, namely talking about his efforts with various causes and environmental groups, and his political beliefs and leanings. I respect Densmore’s beliefs (and certainly his reasons for going to trial) but the book did get a little too political in a few places. Minor issues aside, if you are looking for the continued John Densmore story, and the details of this court case and his more recent years, Unhinged is a fantastic story of one man clinging to his ideals, fighting for a cause greater than a paycheck. For any fans of The Doors, John Densmore, or the music industry and legalities in general, this book comes strongly recommended. The below video is a The Doors of the 21st Century performance, which is what Densmore was suing his bandmates over.